Beautify your home and increase its value with our custom landscape design and installations — from patios and retaining walls to fire pits, water features and more — you’ll never want to leave your own back yard. Enjoy all the splendor of a perfectly manicured lawn without any of the back-breaking work with our time- and labor-saving lawn care services. Dozing in your lawn chair beats pushing the lawnmower any day. Smart home? How about a smart yard! 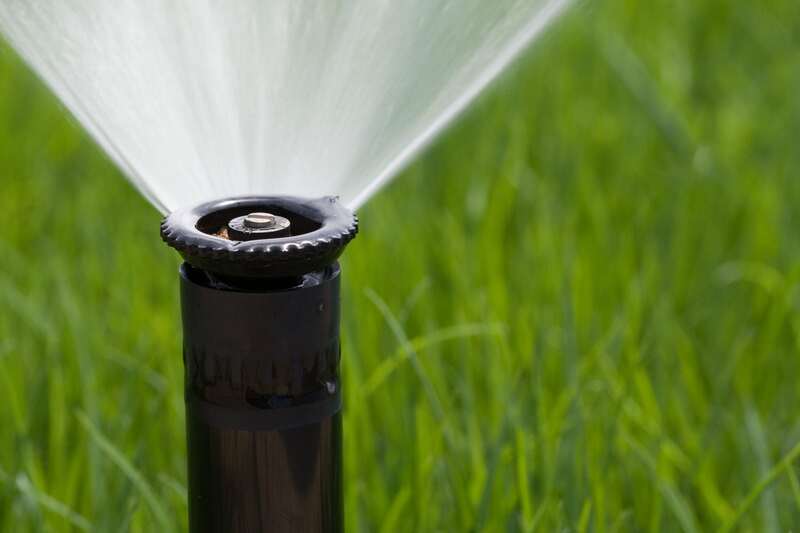 Operate your sprinkler system remotely, achieving beautiful turf and gardens, while at the same time conserving water. 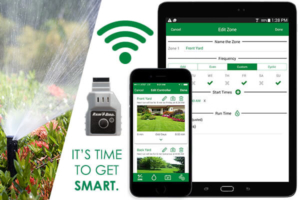 A smart irrigation system reduces water usage by as much as 50%, saving both water and money! Learn how installing a Rock Solid sprinkler system can keep your lawn green and growing all season long. 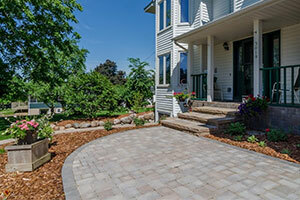 Rock Solid offers customized design and installation of patios, pavers, walkways and more. 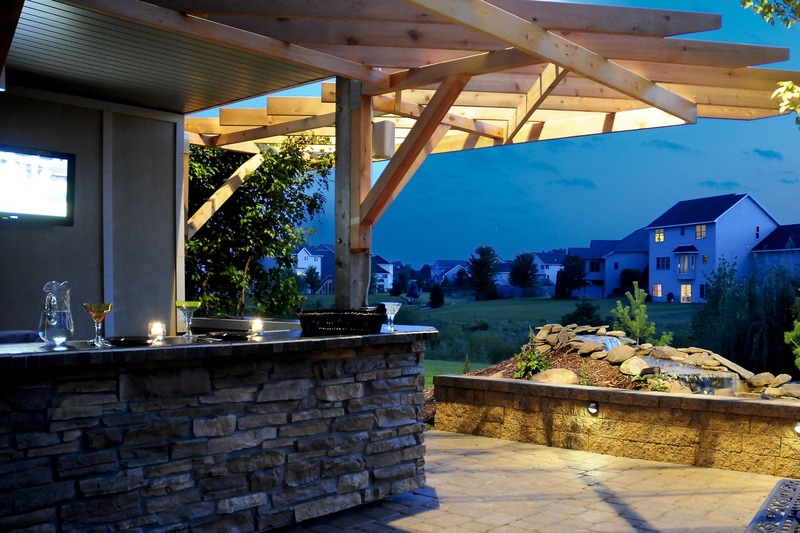 Plus, we can enhance your space with design elements such as lighting, water features and fire pits. Our customers want picture perfect lawns and landscaping and that’s exactly what we deliver. Check out our gallery of photos for ideas and inspiration, then call us to turn your vision into a reality. 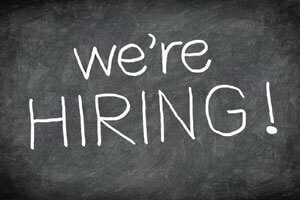 We’re growing and looking to add experienced team members to our crew. Check out our Careers page for great opportunities including Irrigation Technician and Lawn Care Specialist. 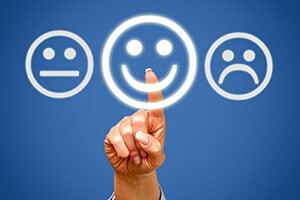 Want to know what people really think of us? Rock Solid customers talk about us all the time, but we don’t mind. Get the scoop on our group and find out what they’re saying!